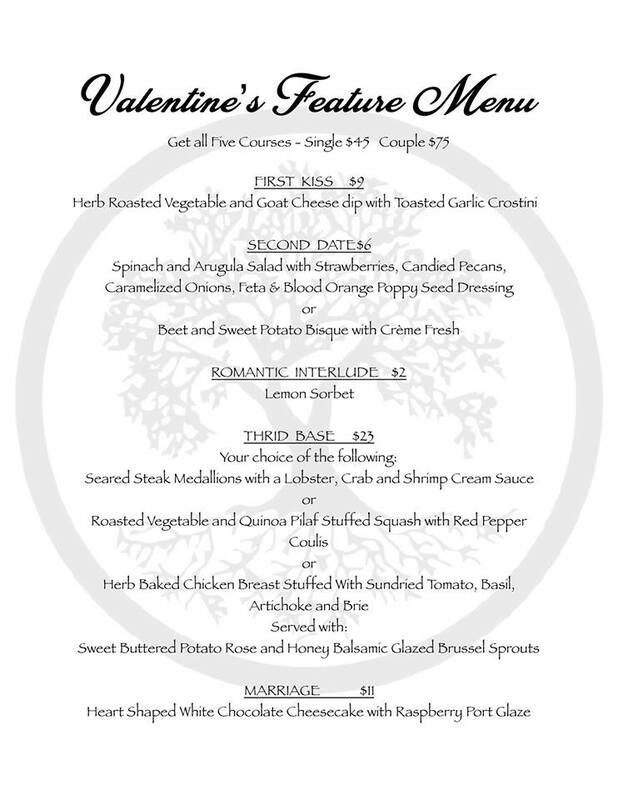 Whether you’re celebrating Valentine’s Day, Galentine’s Day, or just want an excuse to splurge, here are some of the specials happening throughout downtown this week. Fresh Palate: From 4-9 pm, make a reservation for a special gourmet five course feature menu from Chef Eric. Reservations include flowers. Click the image below for full menu. All five courses for single $45, for a couple $75. Owl Restaurant: Dinner includes choice of appetizer, two ribeye steaks with red wine mushroom sauce, twice-baked potato, salad, and homemade pie for dessert. Charles Madison will also be playing live starting at 6 pm. Couples dinner $70. Single dinners available ranging from $18-27. John A. Lau Saloon: Dinner includes soup and salad, your choice of prime rib or scallops, and dessert. Pick-up dinners at As You Wish: Wednesday’s special is beef tenderloin scallopine w/ white truffle risotto & green beans. with chocolate covered heart strawberries for dessert. Yum. Make sure to order ahead. Did you know? As You Wish offers pick-up dinners Monday through Wednesday with a different menu each day. 2. Valentine’s Day treats at As You Wish. In addition to individual treats you can get at their store, they are offering trays for the holiday. Simply name the amount you’d like to spend, and they’ll prepare a platter just for you for your business, friends, or event. They also deliver anywhere within the city. Some of the special treats available. Photo by As You Wish. 3. Wine & chocolate at Thunder Bay Winery. Through February 17, snag two glasses of wine and assorted chocolates for $15. Upgrade to a premium wine for $20. One of the winery’s new releases. Photo by Thunder Bay Winery. 4. Make a Valentine Salt Soak Card at Soaps and Such. Through Wednesday, stop into the store to make a card and salt soak. Or, treat yourself to some of their fabulous artisan bath and beauty products. Cards $3.75 to make, no limit. The salt soak making station. Photo by Soaps and Such. 5. Take a class at Bella Rose Yoga Studio. Throughout the month of February, bring your significant other to a class for free. Or, come to their special Couples Yoga Class on Friday, 2/16 at 7 pm. 6. Coffeehouse Friday at Thunder Bay Theatre. This Friday (2/16) starting at 7 pm, bring your partner or friends for an acoustic performance by the iconic folk/blues duo of Lee Kitzman and Chris Crown on the Thunder Bay Theatre stage. Tickets $15. Coffee $2. 7. Book a massage at Alpena Therapeutic Massage. One of downtown’s newest businesses, Alpena Therapeutic Massage focuses on healing and relieving pain through massage. Through Wednesday, they are offering $10 off any gift certificate purchase. Massages range from $30/ 30 min- $120/ 120 min. Located in Suite Salon Spa. 8. Get a blowout at Hair by Ellie. On Wednesday from 12-6 pm, blowouts will be $10. And there will be fresh coffee from the Marketplace, champagne, and a special sweet treat. 9. Shop downtown. Shoes, apparel, home-wares, comics, books, art, or something sparkly– we guarantee you’ll find something you like. Photo by Olivet Book & Gift. Blog Downtown Alpena is written by Anne Gentry. Connect with the blog on Facebook and follow us on instagram @blogdowntownalpena.